of our Sales Assembly Line (SALe) software! WE ARE MARKETERS, CALLERS, SALESPEOPLE AND HUGGERS. Together You Win! Alone You Lose. In technology sales, in any given market, there can be only one Marketplace Gorilla. This enterprise will eventually receive 50% of the revenue and 75% of the profits from the segment. Except for one or two other companies, the sad truth is that most other market participants will eventually fail. If your company is using a direct or inside sales approach, it is mathematically impossible to conquer the mass market and win the all-important Gorilla Game. The underlying sales methodology is why your company is likely losing money and not closing enough clients to scale and reach takeoff velocity. 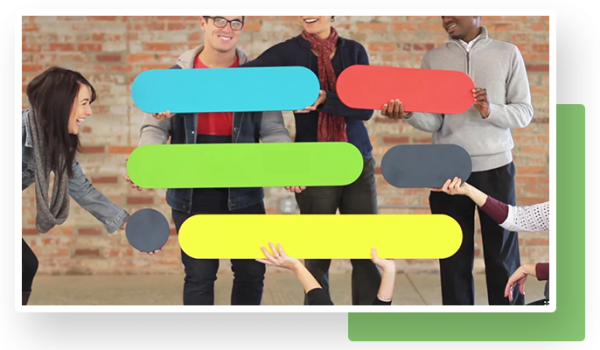 The only way to survive and prosper is to implement a web-meeting, sales assembly line where everyone in your company is working together to drive sales. 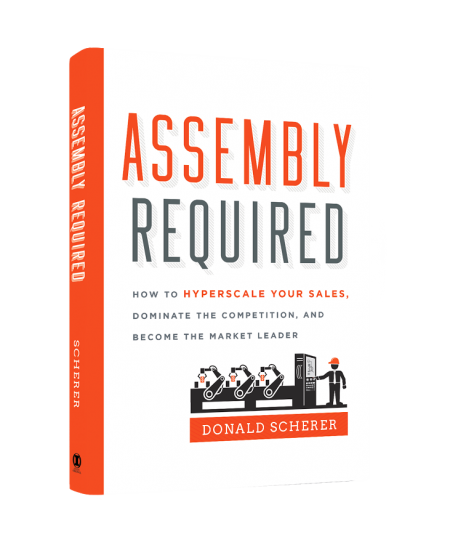 Learn how to dominate the competition and become a market leader in the INC. Magazine Original book – Assembly required – by author Donald Scherer. Assembly was designed to ensure that each step of the sales process is undertaken by the individual best suited to perform the activity from an ability and/or cost perspective. Specialization can dramatically increase the volume of deals that each sales person can work at any given time. Click on the roles below to see how our Sales Assembly Line software can help your entire company become a sales driven enterprise! Cognitive Cloud to dramatically improve your company’s sales volume close rates, leading to a dramatic increase in customers and revenue. Click here for more information on how CrossBorder Solutions is using ASSEMBLY to scale and dominate the competition.